The Sub-Tec CAD/CAM TiBase L or PS TiB abutments enable practitioners to produce customised abutments using the Sirona CEREC/inLab system. To ensure better understanding and simpler handling, the diameters and the CAD programme to be used are lasered onto the abutments. Sirona Dental Systems customers can order the scanbody and the inCoris ZI meso-Block from their Sirona partner as normal. 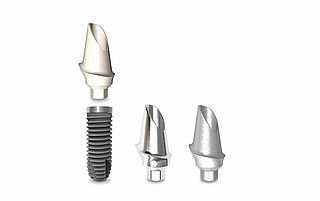 The base required for the BEGO Semados® implant system can now be purchased from BEGO Implant Systems. The restoration is produced in the usual manner by the practitioner. Even in this age of digital change, BEGO remains a reliable partner and supports dental technicians and dentists with pioneering technologies. 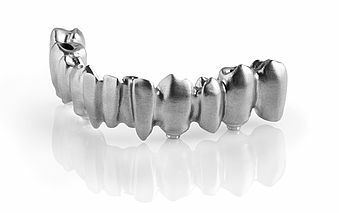 The portfolio ranges from customised implant abutments and occlusally screw-retained implant bridges and bars through to CAD/CAM prosthetics in the shape of crowns, bridges and double crowns. BEGO never fails to impress with its proven quality and material diversity. 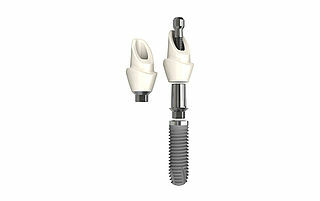 Implant prosthetics in particular place considerable demands on both the quality of the materials and the production processes. BEGO offers the right biocompatible material, as confirmed by an independent institute, for almost all indications. In addition to the exceptionally solid and thick cobalt-chrome alloy Wirobond® MI+, which has been tried and tested for decades and which offers outstanding polishing qualities, Titan Grade 5 is also an ideal material for abutments and implant superstructures. Its high strength makes it easy to create even delicate structures. Highly aesthetic abutments made of high-strength Zirkon XH are the ideal alternatives for the anterior region. The tooth-coloured abutments prevent dark shadows from shining through even with a thin biotype and the dense ceramic surface guarantees excellent adaptation of the gums in the emergence profile region. 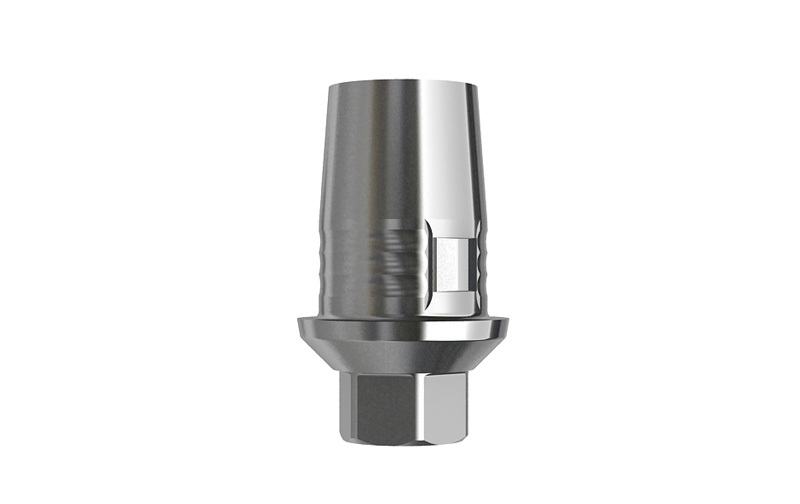 The one-piece solid abutments are customised specifically for each patient and produced in the BEGO high-tech production centre in Bremen according to your design and material specifications. 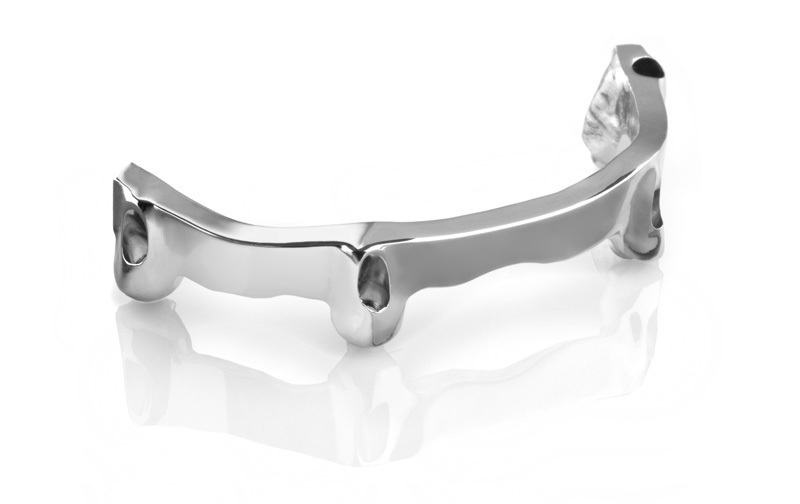 The abutments can be freely designed, whilst taking the anatomical conditions into account, and thus offer a secure hold for the prostheses. The emergence profile which is modelled specifically for the patient ensures optimal soft tissue contouring and mucosal support and thus satisfies stringent aesthetic demands in the long term. The customised abutments are available for the BEGO Semados® implants in the S- and RI-Line, the BEGO Semados® RS/RSX-Line with Platform Switch as well as implant systems from other manufacturers. All the abutments for the BEGO Semados® implants feature an internal taper connection with hex which has been tried and tested over the last 20 years. guaranteeing a reliable and stable hold. You can choose between three materials: BeCe® CAD Zirkon XH, BEGO Titan Grade 5 and Wirobond® MI+ which offers you maximum flexibility for all indications. 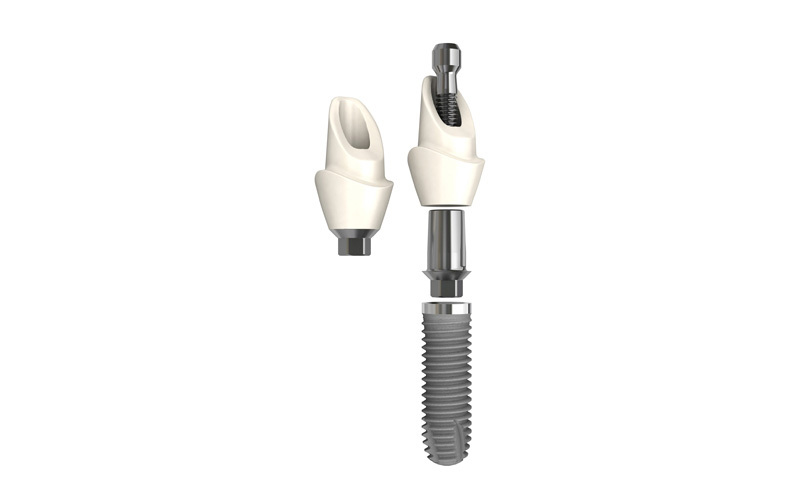 The two-piece customised abutments comprise a titanium adhesive abutment and a customised abutment. 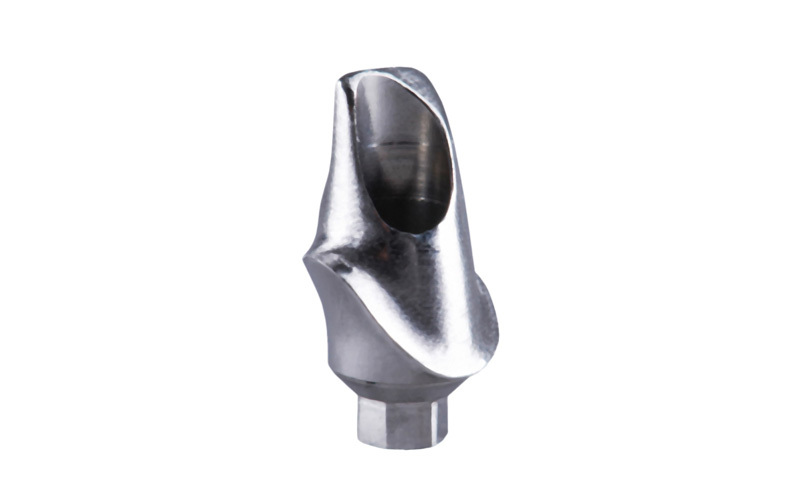 The large selection of materials available means this abutment type offers a wide range of prosthetic options. The titanium bases are adapters with the implant/abutment interface of the respective implant on the implant side and a standardised adhesive abutment on the abutment side. The customised abutment is produced according to your design and material specifications in the BEGO production centre with a defined adhesive gap and subsequently firmly adhered by you to the titanium abutment. 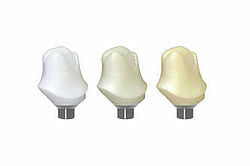 The adhesive abutments made of BEGO Zirkon LT come in 5 colours (LT01-LT05). The extended colour pallet satisfies the need for highly aesthetic, all-ceramic implant prosthetics. Wirobond® C+, all CAD/Cast® materials and PMMA Multicolour in 3 different colours (M01-M03) for provisional solutions are available. The customised adhesive abutments for BEGO Semados® S- and RI implants are used with the Sub-Tec CAD/CAM titanium adhesive abutments and BEGO Semados® RS/RSX implants with the PS-Line CAD/CAM titanium adhesive abutments. For abutments for other common implant systems, titanium adhesive abutments can be ordered from BEGO Medical or the respective implant manufacturer. A detailed overview of the available auxiliary parts can be found in "BEGO digital dentistry services overview". Both customised bar constructions and frames for occlusally screw-retained bridges can be milled in line with your design requirements. As such, with its customised milled bars BEGO Medical offers an excellent platform for producing removable restorations. The occlusally screw-retained CAD/CAM bridges are a great alternative to cement-retained bridges. For one-piece splinted constructions a connection point was selected which does not require anti-rotation protection. Wirobond® MI+ and BEGO Titan Grade 5 are available as materials. Excellent accuracy of fit can be ensured with the industrial CAD/CAM technique. Laborious fitting of the constructions is no longer necessary as casting-inherent distortions which arise during the cooling phase of long-span bridges in particular no longer occur. The bars can be freely designed by practitioners or as round bars, Preci-Horix bars, Dolder® bar joints or Dolder® bar attachments. In addition to the BEGO Semados® S- and RI-Line, the BEGO Semados® RS/RSX-Line with Platform Switch and the Semados® Mini implant (bar restorations only), other common implant systems can also be restored at implant or abutment level, e.g., the BEGO Semados® MultiPlus system. If you have a BEGO 3Shape* scanner you can simply transfer the wax-up data from the 3Shape DentalDesigner or the 3Shape AbutmentDesigner with just a click of the mouse. Alternatively, the wax-up or scan data can be transferred in STL format by, for example, using exocad* with the help of the BEGO FileGenerators. You can also order BEGO CAD/CAM products without a scanner and without having to make major investments by sending the models to the BEGO Scan and Design Centre. We are happy to handle scanning and design work for you for a small charge. On the basis of the design proposal produced by us, you then approve the restoration for production. *3Shape and exocad are companies which do not belong to the BEGO company group.